« META-Learning: Who Would You Rather Have As A Teacher–Phelps or Shinji? In a recent post on the TI Discussion Forum http://www.totalimmersion.net/forums Steve asked: My practices are limited to 100-meter repeats because I get too winded to swim farther. Though I can swim as much as 2000 meters in a pool session, I still need to stop and rest every 100 meters. How can I swim farther without becoming winded? 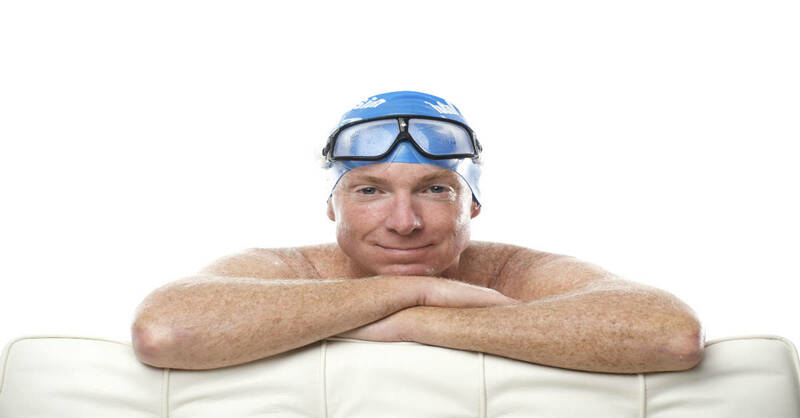 Craig Arnold, a TI enthusiast from the UK replied: When swimming a longer distance, why don’t you call it a warm up. That way, you give yourself permission to swim more slowly. Swim with a balance focus, concentrating on a weightless head, then marionette arms, with no splashing or bubbles. When I start out that way, before I know it I’ve swum 1000 meters. Craig gives good advice, but his phrase ‘permission to swim more slowly’ is especially powerful. Though I began swimming 47 years ago, it took me over 40 years to give myself permission to swim more slowly. My good friend Amby Burfoot, the 1968 Boston Marathon champion, long-time editor in chief of Runner’s World for 30 years–and a TI swimmer since turning 60–revealed to me that world-class Kenyan marathoner runners typically warm up for a race at a pace of about 9 minutes per mile—barely more than half their racing speed. Compared to the Kenyans ability to run slowly, I was pretty poor at swimming slowly. At that time, my racing pace for the 1650-yard free was about 1:15 per 100 yards. I realized I never swam at anything remotely close to 2:30 per 100. All of my swimming was in a narrow window between 1:15 and 1:30 per 100. Immediately I decided that henceforth, I would start most practices with up to 10 minutes of swimming at the e-a-s-i-e-s-t pace possible. The effect was instantaneous. I felt and swam much better in everything that followed. As it happens, my ‘superslow’ pace turned out to be only a few seconds slower. I was amazed how little speed I sacrificed when I went much easier. 1. I became hypersensitized to the interaction of my body and the water. I felt as if I was aware of how the water at the molecular level. 2. My balance and stability were far better tuned — and I could feel the difference at every faster speed. 3. To swim faster after those initial laps of deep ease, I didn’t have to push the throttle. My pace seemed to pick up effortlessly as I continued. Within a few months I had swum the 1650 in a pace of 1:12 per 100. Giving myself permission to swim slower, made a clear difference in enabling me to swim faster. Teaching regularly in an Endless Pool, I’ve found it’s a rare student who knows how to swim well . . . slowly. Students who would finish far behind me in a race cannot keep from crashing into the front of the pool when I set the current at moderate speeds. They find it eye-opening when I turn the current way down and swim in place with impeccable form and no interruption in rhythm. I explain that there’s a wide spectrum of both power and tempo. The vast majority of swimmers constantly push the upper—or physical–end of the spectrum and ignore the lower—or artful—end. It’s at the lower end where you learn most about how to form a partnership with the water. 1) Observe your hand speed as you begin your stroke. Allow a moment-of-stillness after you reach full extension, then begin stroking at slowest possible speed and lightest possible pressure. 2) Explore how slowly you can bring your arm forward over the surface, without discontinuity or instability. 3) If you swim with a Tempo Trainer, turn it down gradually. Can you maintain flow at a tempo of 1.80 strokes per second? I promise you’ll discover these are exacting skills requiring great focus and great body control. And therefore invaluable to swimming any faster speed. I accidentally clicked on the stars above. I think it was about at 6 or 7. Please feel free to remove my vote if you wish. I did enjoy the article and will give it a try with my lap swimming. Terry–great article!!! This really hits on the technique you are teaching. Had a recent ‘breakthrough’ in my freestyle after 7 years of practicing! Terry, it was exactly forty years ago at the University of Oregon that, as a graduate student, I took their phys ed program’s beginners course in swimming. It was awful with no technique and a lot of thrashing about. I kept pushing myself to exhaustion. With their system, the concept of slow swimming was not only unheard of, but impossible. I quit the course and the martinette they had for an instructor. (It must have infuriated him that I was a graduate auditor and not a vulnerable undergrad fulfilling a requirement.) I was also a graduate teaching assistant in urban design, and the magnitude of this man’s professional incompetence was stultifying, though, in fairness, he most likely was representative of the era. I realized a new technique was necessary, but I didn’t know what it was. Anyway, in 2000, I found out what that was when I bought my first TI VHS cassettes at the Swimming Hall of Fame store in Fort Lauderdale. To say the least, it slowed me down considerably, and I merely left little ripples and eddies in my wake, rather than the turbulence of the Queen Mary. Maybe you could create a technique called Tai Chi swimming that would use extremely slow practice movements that would improve the faster stroke movements. As you’re aware, traditional Tai Chi is actually a martial art, in that the slow movements underlie the faster martial movements. After the Webinar I commented to my wife that Jeff seemed to approach training as an engineer does….problem solving/ linear thinking. Your presentation encompassed both the art and science of it all, synthetic and lateral thinking. a furlong than it did to run a mile ….the pre-metric days of course. But the form could not be exactly the same as race -form because gravity induced a slack, loose movement, more vertical than horizontal, (similar to Twyla Tharp’s early choreography, which I love). Water, on the other hand makes it much easier to replicate “weightless” swimming form at a slow pace. Your synthesis in the Webinar gets full marks from me. One problem was that there was no dialogue with or questions from the 1000 or so listeners, because of a tendency for Jeff’s responses to become autobiographical monologues. I am regularly reading your publishings and using Tempo Trainer while swimming. It is written as 1.80 strokes per second. Is it a typo? I belive it must be 1.80 seconds per stroke. I am known as the turtle in the pool I swim in. For a bit, I tried to swim sprints, mostly to no avail. I can swim a long way, 70 or 80 laps with little effort. Maybe I will try this idea of going REALLY slowly. Interesting. know, but have not done in a while. Slow swimming is great and I enjoy a long, slow dawdle at least once a week. The problem is, getting in the pool when it is cold I have to swim the first 200 meters pretty fast. It’s hard to slow down after that because I’m in the mode of Get It Done, Do It Fast by then. Steve could be me. I have been following the TI method after a course in England some years ago but i now find that I too need breathers after about every 200m atg first but as I go on I need them less frequently. Since reading the ‘Go slower’ blog I have had just one swim, I swam even slower and needed to rest less frequently. I swim a mile in about 50 minutes but I shall be 80 next year so i thionk I’ll have to be content with that. The main advantage is that when I complete the mile I am not breathless and feel very comfortable. Wow. Thank you for this. When I started swimming I was overcoming a fear of swimming so sprinting was all I knew how to do and felt comfortable doing. I had a friend constantly telling me to relax but your advice will definitely help me to slow down. It would be as Tai Chi swimming! As slow as you can but never stopping the movement. Always flowing! I love the idea! But… How to breed? Every two strokes?